From the shore, eyes gaze anxiously out across the storm-tossed sea. Will they be safe? Has there been a mishap? For the wives and relatives of all fishermen there are periods of stress and worry. At the mercy of the elements, a drifter or trawler is small craft indeed. Fishermen are a breed of their own. They have their own beliefs and superstitions. They have their own special methods of catching fish, and they have to be admired. Surrounded on all sides by the sea, the British Isles have long been dependent on the treasures it holds. Other countries have also gleaned from the sea, providing food, money and a living. The superstitions exist because of two Actors. Firstly there is a necessity of calming the fury of the sea, which is regarded as being either a divinity in itself or else inhabited by good and evil spirits. Secondly, there is the need of taking the greatest number of fish with a minimum of effort, this being best achieved by securing the co-operation of the supernatural beings which live in the sea and control its movements. Peter Anson's book reveals all about Fishermen and their ways in a spellbinding manner. For as long as the sea exists there will be fish, barring pollution, and there will always be fishermen. "The fish shone white in the water came up shining and large in the net, like grains of corn on an interminable ear. Yard after yard came up, solid with fish. We got wet through, and we didn't care". The copyright holder of this book is Father Mark Caira, Abbot of SANCTA MARIA ABBEY, Nunraw, Haddington, Scotland, EH41 4LW He has kindly allowed us to publish this book on our site. 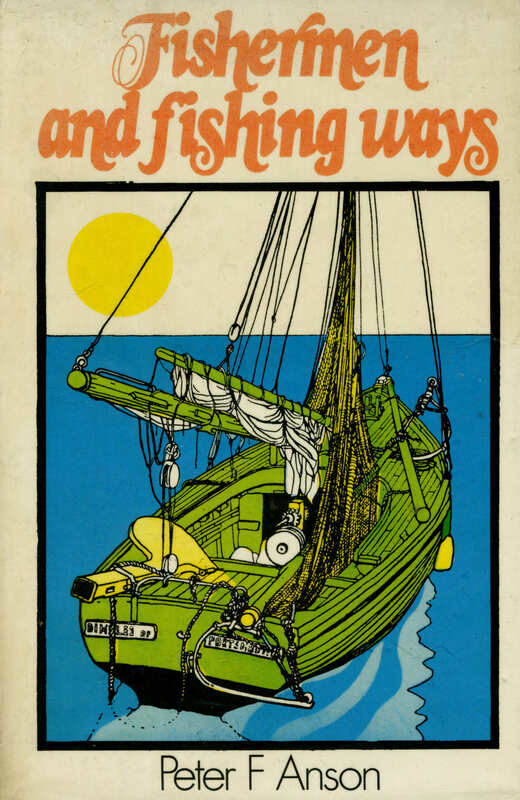 We would also like to acknowledge the help of David Thomson of Lossiemouth for supplying us with a copy of this book and for supplying us with the contact details of the copyright holder. Chapter II. Fishermen of Ancient Egypt, Palestine, Greece, and Rome. Chapter III. Folk-lore and Superstitions of Fishermen. Chapter IV. Festivals and Blessings of the Sea. Chapter V. Fishermen and the Law. Peter Anson Sculpture unveilling 28th May 2011, Maritime Garden, Macduff. 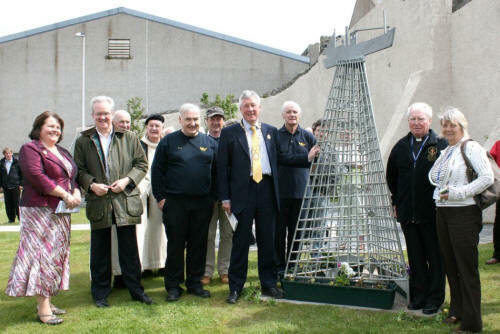 Left to right Anne Robertson (Leader of Aberdeenshire Council), Stewart Stevenson MSP, 2 monks from Pluscarden Abbey (Aelred and Brother Meinrad Gibson) , Stan Bruce (BMHA Secretary), Liam Sparke (BMHA Vice-chair), Bill Howatson Provost of Aberdeenshire, Malcolm Smith (Committee), Deacon Brian Kilkerr, Tina Haris. (Photo by Andrew Taylor).